Hey my name is Trish. I love overnight care, live in Erwin and want to look after your cute pets. I hope we have the chance to chat soon!Hey my name is Trish. I love overnight care, live in Erwin and want to look after your cute pets. I hope we have the chance to chat soon!Hey my name is Trish. I love overnight care, live in Erwin and want to look after your cute pets. I hope we have the chance to chat soon! Hey my name is cody. I love dog walking, live in Erwin and want to look after your prized pets. I look forward to hearing from you!Hey my name is cody. I love dog walking, live in Erwin and want to look after your prized pets. I look forward to hearing from you!Hey my name is cody. I love dog walking, live in Erwin and want to look after your prized pets. I look forward to hearing from you! Dog/pet lover!Dog/pet lover!Dog/pet lover!Dog/pet lover! Hey my name is Donna. I am a Erwin based dog sitter that can't wait to meet your cuddly pets! I look forward to speaking with you!Hey my name is Donna. I am a Erwin based dog sitter that can't wait to meet your cuddly pets! I look forward to speaking with you!Hey my name is Donna. I am a Erwin based dog sitter that can't wait to meet your cuddly pets! I look forward to speaking with you! Hello my name is Justus. I am living in Erwin, love dog walking and can't wait to meet your adorable pets! Can't wait to chat with you soon.Hello my name is Justus. 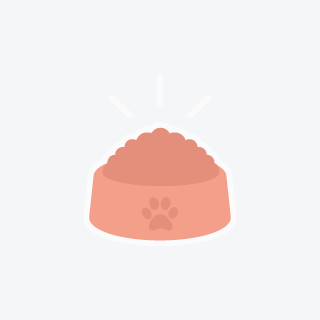 I am living in Erwin, love dog walking and can't wait to meet your adorable pets! Can't wait to chat with you soon.Hello my name is Justus. I am living in Erwin, love dog walking and can't wait to meet your adorable pets! Can't wait to chat with you soon. Looking for a reliable pet sitter in Erwin, Tennessee? Need a professional Erwin dog sitter or cat sitter? Look no further. You’ve found the largest and easiest to use community of pet care providers in the Erwin area. PetSitter.com connects pet parents and their furry family members directly with the Erwin area community of pet lovers, offering pet sitting, dog walking, pet grooming, boarding/kennel and other pet care services. So whether you have a cat, dog, fish, bird, reptile, horse, small mammal or exotic pet we make finding pet sitting in Erwin, Tennessee faster & easier than ever.